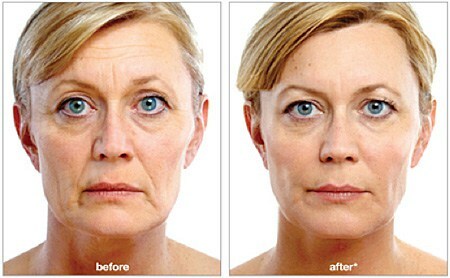 What is 8-point face lift? The 8- Point Facelift is a simple, affordable and effective way of creating a gentle face lift by injecting dermal fillers of different volumes and consistencies into 8 specific areas of the face. A thorough consultation by the treating clinician enables this treatment to be tailored precisely to client’s individual needs. Which are the 8 points that are injected? The 8 points are chosen on each side of the upper, mid and lower face to create a gentle pull. What are the results of 8-point face lift? Overall this treatment results in more defined and uplifted cheeks, improvement in the tear trough area and any droopiness of the mouth, softening of nasolabial folds (mouth to nose lines) and marionette lines as well as delivering a subtle jaw lift. Which dermal fillers are used in 8-point face lift? At Bedford Skin Clinic, we use a range of products for 8-point face lift. In most instances a combination of different products is used. We use Juvederm® range (Juvederm® Voluma, Juvederm® Volift and Juvederm® Ultra 4), Restylane® range (Restylane® Sub-Q and Restylane® Lyft.) and Radiesse® for 8-point face lift. The procedure takes approximately 20 minutes to half an hour. At Bedford Skin Clinic, we use microcannula for 8-point face lift treatment, hence there is minimal downtime and complications are rare. The treated area looks slightly swollen for a few days and there is small potential for bruising. There is minimal discomfort after the procedure and we advise our clients to take oral paracetamol if required. Clients can usually get back to normal activity on the same or the next day.